Townhome with 3 Bedrooms and 2 Baths consisting of living space all on one main level, now available in the Needlestone community. Venture inside to see what this home has to offer. The Living Room is accented with a gas fireplace, a nice feature to have on those cool days and nights. The Kitchen is highlighted with countertop space, cabinet storage, Kitchen Island, and a Dining area. A large Master Bedroom with Bath equipped with double vanity sinks, storage space, and tub/shower combo. Utility Room located in the Garage for extra storage needs. Journey outside to the front porch or back deck to relax and enjoy the beautiful weather. Whether you are looking for a first home or the last, this townhome may be the one you are looking for to call home. 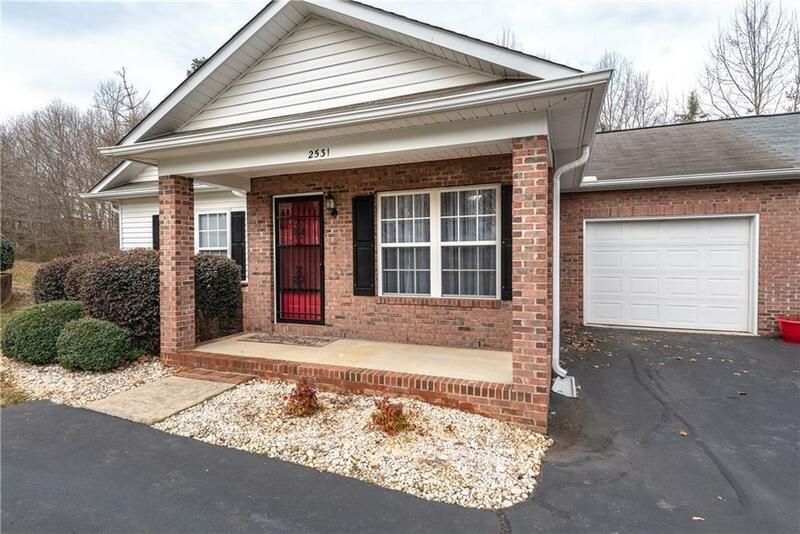 Property is conveniently located in the Hickory area within minutes of local shopping, eateries, businesses, medical facilities, schools, Hwy 127, Hwy 321, Hwy 70, and I-40.